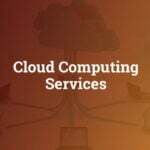 Cuelogic provides services in Software & Product Development, Cloud Computing, IoT, Data & Machine Learning. We are one of the top mobile app development company in New York. Everyone at Cuelogic is passionate about technology and obsessed with engineering excellence. Our dedicated team consist of product focused engineers, designers and data experts who take software driven approach to solve problems and meet the ever-transforming business needs. Our rich industry expertise in Finance, Healthcare, Manufacturing, Ecommerce, Media, Advertising, Education, Travel and many more help to solve complex challenges and provide superior customer experience. Harnessing data in IoT to transform connected devices from Cuelogic Technologies Pvt. Ltd.
How IoT is impacting Product Development across industries. from Cuelogic Technologies Pvt. Ltd.
6 ways iot can benefit home appliance manufacturers from Cuelogic Technologies Pvt. Ltd.
Angular 6 latest updates and features from Cuelogic Technologies Pvt. Ltd.
Angular vs react vs vue from Cuelogic Technologies Pvt. Ltd.
Introduction to mongoDB from Cuelogic Technologies Pvt. Ltd.
Introduction to google glass and GDK from Cuelogic Technologies Pvt. Ltd. Automation Testing by Selenium Web Driver from Cuelogic Technologies Pvt. Ltd.
Trends in mobile applications development from Cuelogic Technologies Pvt. 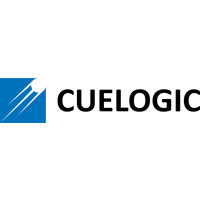 Ltd.
HTML5 from Cuelogic Technologies Pvt. Ltd.
How to begin with Amazon EC2? from Cuelogic Technologies Pvt. Ltd.